EDC GOLD - David Dubbs is best known for a company called EDC Gold. 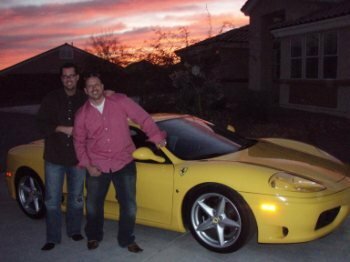 He was the #1 Money Earner in EDC Gold and Launched the Dubbs marketing Website. That company made him over a Million Dollars. Since then he went on to be the very top rep in over 8 companies. Hard enough to be a top earner in just one. to do that seven times in legendary. David Dubbs was the #1 Recruiter in My Fun Life and went Diamond in 6 Days. David Dubbs started Youcantsayno.com and brought in 10,000 reps to the company the first week. David Dubbs was the #1 recruiter in Enfiniti Global and built there marketing system. David Dubbs was the top recruiter in Bellamora. David Dubbs was the top recruiter in AMA Nation. David Dubbs was the #1 recruiter in Safe ID Trust and is building a huge team. Many other ventures David Dubbs dominated the leader boards.